→Takeya vs Hydro Flask: Which is Better? Takeya vs Hydro Flask: Which is Better? When you are going to the gym, playing a sport on a nice day out, or simply going for a walk around the park, having a good water bottle is vital. You want to make sure you get one that is a good price, durable, and fits your lifestyle and what you need it for. 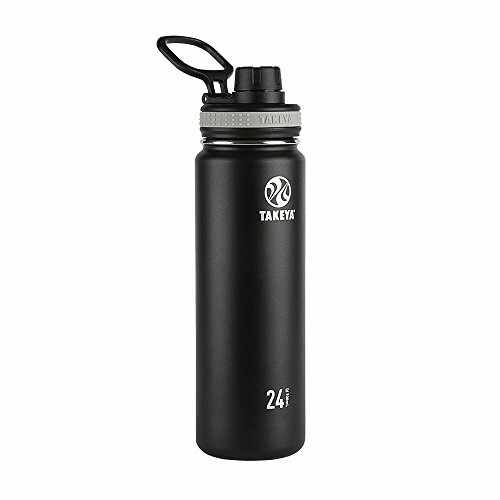 Hydro Flask and Takeya are both water bottle brand that is well known and highly durable. However, just because they are both great does not mean that they are equal in each and every way. So when you are considering a water bottle to bring with you hiking, camping, or even just for your weekly exercises, which one of these would be better to bring with you? What are the differences? What makes them a good water bottle? When it comes to buying any of these, one of the important things to look out for is how well they insulate. I mean, that is probably one of the main reasons you are looking to buy a bottle like this as opposed to a cheap one you can buy at the dollar store, right? Insulation can make it so that you can either keep your beverages hot or cold for multiple hours, often allowing things to stay cold far longer than it can keep them hot. That way, you do not have to worry about your drinks becoming lukewarm after an hour or two on the road. These are mainly designed to hold colder beverages, which is why they tend to last longer than their warmer counterparts. However, you can hold a nice cup of hot coffee in here as well with very little issue. This will even prevent it from losing its heating, giving you a hot cuppa joe to last the whole day. You do not want to spend a fair amount of money on any of these just to have them break a few days later, or even a few months. You want them to be able to take a beating and still keep your drinks chill. So try to find ones that are made out of stainless steel whenever possible. This determines how much you will be able to drink out of the cup. Wide mouth allows for more gulping if you desire, although many people prefer to simply sip their coffee or tea. It also allows you to be able to put on more standard sized caps, as well as third-party filters. You probably would not think that a cup would have much at all when it comes to accessories, but they have plenty. This can range from different types of cap that you can put on, to straws of handles that you can buy for them separately. This is an important one, as these can cost a pretty decent chunk of change. However, because of it, it comes far more durable and insulates far better than a cheaper one that you may be able to find at a grocery store. So keep in mind that the money you are spending is an investment. These come in a variety of sizes, from 14 to 40 oz, but we are mainly going to be talking about the 24 oz variety today. It is a decently priced product that comes in a few different colors, although the lid on all the colors is the same: black. This has to be the best ones for both those on a budget, as well as the best lightweight bottle. It is only 11 oz and is great to save on weight if you are going out hiking or camping. This is a stainless steel bottle which means it is highly durable and protects against bumps and dents. It has a double layer vacuum seal to help keep product hot for 12 hours and cold for up to 24. There is no BPA in these, allowing you to be able to drink out of them without having to worry about toxins. These are very easy to carry with a loop around the wide mouth lid, meaning that if you wanted to attach it to a backpack, you can easily. The lid itself is a spout one, which is leakproof and does not sweat. While some people claim that it still sweats regardless, it is most likely due to the knockoff products instead of the real deal. This one is more expensive than it’s counterpart, but not by much. However, that seems to be one of the only differences it has between it and the originals. There are a few other differences that set them apart though.  First of all, this one has more colors. Not just in terms of it’s more sporty pastel colors, but also how it looks. The previous one had a black lid on all of them, regardless of color, but with this one, the color of the lid matches the bottle well. This can help you be fashionable as you drink. It also has a more insulated top. This helps to not only keep the product inside far cooler or warmer as a result, but it also prevents the cap from sweating. Doing such can be useful as this one was designed for people who do sports and activities out in the hot sun and cold winds. It also has a protective bumper on the bottom. This can not only help it to protect it from dents and dings but allows it to fit inside a standard cup holder. The previous version was too thin to properly fit. I would say that this one is the best high-end water bottle due to its quality, and is best for super cold beverages to keep them chilled all day. Hydro Flask is a popular company which is known for their high quality. However, with this also comes the fact that they cost more. They come in a variety of colors as well, which can be great for people who want their bottle to be their favorite color. It is slip free and can fit snug inside of just about any cup holder. It is leak proof and sweat proof as well, meaning that you do not have to worry about losing any of your drink or having to try to grip a wet water bottle. This can cause it to slip, which can be a nuisance. It does have a straw lid that you can buy for it, which makes it more like a sports bottle. If you buy it, which you can do separately, that means that you do not have to open it up every single time that you want a drink. It keeps beverages hot for 6 hours and cold for up to 24. Due to its wide mouth, it is also able to hold many third party water filters. Allowing you to be able to keep your beverages filtered and clean if you want them to be. One of the issues that some people have with this is that it is too expensive, which it is fairly expensive, but I believe it was worth it. This is the best wide-mouth water bottle on the list in my opinion. The standard is very similar to the wide mouth, but with a few differences. For instance, the mouth of this one is not as large as its wide mouth counterpart, obviously. But this means that it cannot hold standard filters. It also means that you will be less likely to be able to add a standard ice cube to it. It also comes with a handle near the top, which makes it easier to hold and attach to things like a backpack. One of the issues that some people have with this one, aside from the expense, is that it can easily get scratched up. At least one person complained about chipping paint. This is the same as the other wide mouth, except that it is a much larger size. It can still hold most filters and is still made out of durable stainless steel. It is the most expensive one on this list, being upwards of 60 dollars for one. However, it is fairly large, meaning it can hold a lot more stuff. Although, since it is so big, it cannot fit into cup holders or bike racks. With the larger size also means that it is far heavier as well, which is something that you need to consider if you are going camping or out on a hike. Can I put food in these tumblers? I don’t see why you wouldn’t be able to add a nice soup to these. Anything that is more liquid would be able to fit in here quite nicely. Just don’t expect to add in a sandwich or anything that is solid inside. Some people say that even putting a stew in here does not keep it warm for very long, but you can do it. Can I use it for wine? We love to use these for wine! It allows us to be able to drink without worrying too much about how we are perceived by others. You can even use it for other alcoholic drinks as well, especially if you want them on the rocks. Drink responsibly, though. You can also use it as a way to enjoy a nice wine even if you do not want to put it in a traditional wine glass. Also makes it far easier to be able to sneak a bit of alcohol into a movie theater to help you watch some of the latest flicks. Why is my straw not working properly? The straw on the lid may not work properly if it is damaged or if too much air is passing through it. While some air passing through is necessary for it to work, too much just causes it to stop working properly. If it is not working properly, then it might be a fake, and you should get it replaced. Silicone straws are reusable, which makes them better by default in my opinion. I think the reason why they are better than even metal straws has to do with the fact that they feel more like a straw as compared to the hard and cold metal. Silicone straws are far more flexible, so when you are drinking out of such, it feels more natural. Well, as natural as drinking out of a plastic straw can get. They also come in a wide variety of colors, so you can choose the one that fits your personality. This depends on exactly which one you are referring to. The Takeya ones are 10 inches tall, while the Hydroflasks are 9 inches tall. All except for one, the Hydro Flask Standard Mouth, which only comes in smaller sizes, and as a result are only 6.5 inches tall. However, it is important to point out that height does not mean everything when it comes to these bottles. While tallness is important, you should also consider if they are wide as well. That way, if they are both wide as well as tall, you know that they can hold much more. I would not recommend adding any of these in the dishwasher. This is because water may be able to seep through them and ruin the insulation caused by the vacuum. So when it comes to these, many experts recommend washing them out by hand. This may, however, include purchasing a bottle brush. This is because many of the lids are fairly thin, and a hand cannot fit inside. Could I get a straw lid after purchase? Yes. Both of these brands sell replacement lids, which include straw lids. In fact, there are a variety of caps to choose from, so check them out and see which ones are right for you. Do they have any metallic taste to them? None of them should have a metallic taste to them, but it is never a guarantee that they will not. So I recommend cleaning out your bottle very well before each and every use. This will prevent any of the metal from potentially coming off into the water is rust were to happen. Both of these are great options, and it is hard to find out which one is better. However, I would have to say that the Hydro Flask wide mouth is the best out of all of them. Not the 64 oz, because that one seems a bit too big to be practical in most situations. While all of these are a good choice, I think this one is one that you should be looking at. The difference between the Takeya Original and the Actives were few, but they were substantial enough to warrant two different products. However, with the invention of the new one, I do not know why they would pick the original. The regular sized Hydro Flask, 32 oz, is probably the best one here in my opinion. Not only is it durable but it also fits inside of a standard cup holder, and it is known for its high quality. So if you are looking for something to help you stay hydrated that you can take with you to the gym or to a sport, this one will probably work best.